Apple's next-generation 9.7-inch iPad has been presumed to be dubbed "iPad Air 3," in line with the last several generations of the device, but according to a new report from 9to5Mac, Apple will instead be branding the new device as part of the iPad Pro family when it is introduced at the company's rumored March 15 media event. 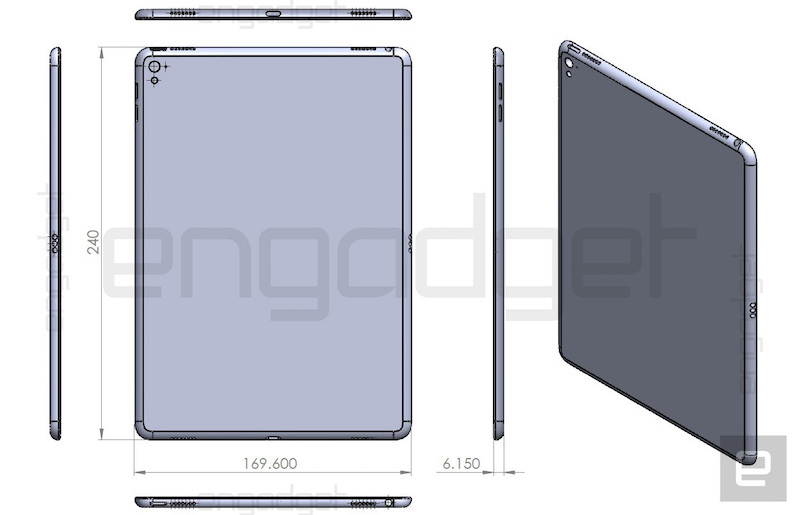 The smaller iPad Pro will have nearly identical features and specifications as the bigger model, bringing along the A9X processor and RAM upgrades from the 12.9-inch model. It will also include the 12.9-inch model’s updated display technology to support the Apple Pencil. Other features being carried over from the larger iPad Pro include the Smart Connector and the Smart Keyboard, with the latter being made available in a smaller size to fit Apple's mid-sized tablet form factor. Apple is also reportedly winding down production on iPad mini 2 and original iPad Air models, allowing the company to simplify its tablet lineup to include the 12.9-inch iPad Pro, 9.7-inch iPad Pro, and 7.9-inch iPad mini 4 as its main devices, with the iPad Air 2 likely remaining available as an entry-level model at the middle size. Just wait for it, $699 for 16GB. without first world problems there would be no MR.
Coming next year, the iPad Mini Pro! Great news if true. 9.7" is a much better size for many. Too bad all the RAM and A9X wont make but a smidge of real world difference. Theres an app problem at Apple with the iPad that no hardware or name changing or A17X processor or 16GB of RAM can fix. Apple needs to partner with developers. Why is facebook a partner and NOT have split screen? Or Apple Music for that matter?? Why No PIP for Netflix. These are the top apps that millions of people use every day on iPad. They should have been partnering with developers months before split screen was announced to get these apps rolling. Of course developers have some responsibility as well but Apple needs to push their platform. It's clear developers aren't in any rush due to declining iPad sales. Its a catch 22 problem that Apple created. The same reason there are millions of iPad 2 users out there.